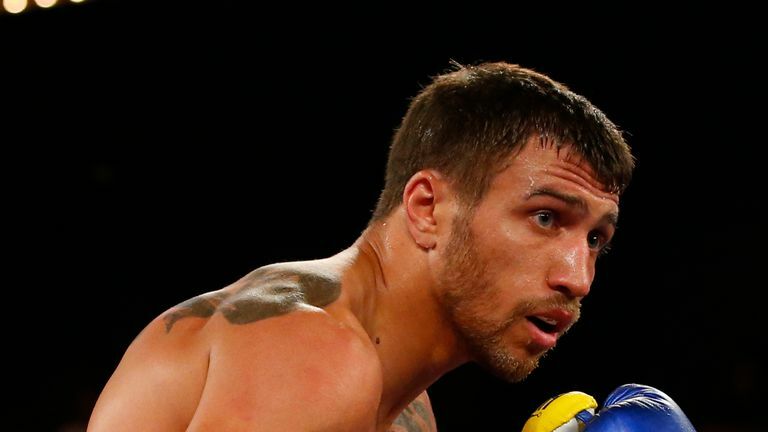 There's no ideal way to prepare for Vasyl Lomachenko. 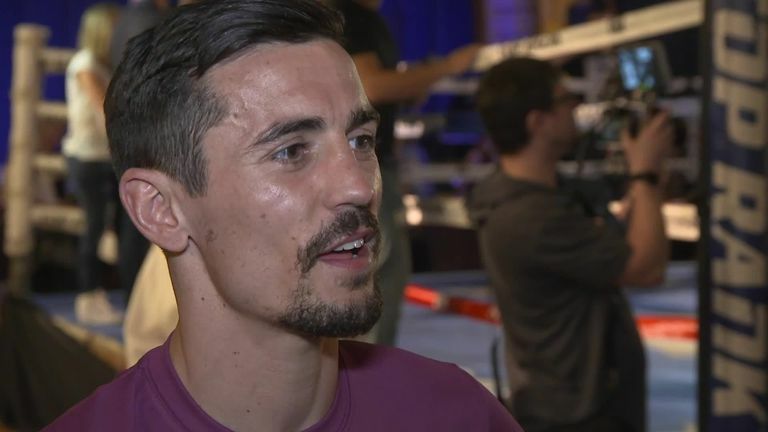 Joe Gallagher and Anthony Crolla will have spent the last few months scrutinising video footage of the Ukrainian, and a number of southpaw sparring marvels will have provided Crolla with their best impression of the two-time Olympic gold medallist. Sam Maxwell, the current WBO European champion, thanks to a marvellous last-minute knockout last month, knows everything that is going through Crolla's mind right now ahead of his world title fight with Lomachenko in the early hours of Saturday, live on Sky Sports. In 2013, Maxwell was an international neophyte when he travelled to Ukraine to tackle Lomachenko under the World Series of Boxing banner. An untested novice, Maxwell arrived in Kiev under circumstances that wouldn't be tolerated in professional boxing as he gave up a vast amount of experience to a man who had only lost once in almost 400 contests. Despite the disparity in accomplishments, Maxwell fought with courage from the opening bell and he can recall the fight vividly six years on. "Standing there in the ring in Kiev waiting for him to come out was something else," reveals Maxwell, reflecting on a failed mission to the lion's den. "They were making a big deal of him and standing there while he has this grand entrance was quite off-putting because I just wanted the fight to start and to see what all the fuss was about. I realised in that first minute how special he was because he was winning the round without even throwing punches. His footwork, his feints, they come together to wear you down and that's something you don't expect. I've got fond memories of the early rounds because I did quite well, but as the fight wore on in Ukraine, it got a lot harder." After enduring defeat to Lomachenko in eastern Europe, Maxwell would get a chance at revenge just a few weeks later when the pair met again in London. Instead, it was something of a repeat performance from Lomachenko who outpointed the Brit for the second time. Maxwell demonstrated he had improved from their inaugural meeting, but just over a fortnight is not the required time to develop the attributes needed to outsmart Lomachenko. "The early rounds were quite close again, but because he's making you work and think every second of every round, it takes its toll on you and it ends up becoming a struggle as it goes on. For me, and I'm not saying I would've ever beaten him, but having that experience helps a lot and when you combine that with his talent then you know he's a special fighter. I'd only been on the GB set-up for five minutes when I found out I'd be fighting him, but if I had been around a bit longer then I might've approached it differently. My plan was to just get in there and prove that I belonged on his level." Now a professional himself and climbing the rankings at a swift pace, Maxwell is dreaming of one day occupying the prosperous platform where both Lomachenko and Crolla find themselves. With a strong focus firmly set on adding further titles to his repertoire, Maxwell, awaiting his next date, will place one eye on happenings in Los Angeles this weekend and he had this late bit of advice for his fellow countryman. "Crolla needs to remember that he's a world class fighter too and that he's been world champion before. If he goes over there with too much respect for Lomachenko then the job is going to be twice as hard. Crolla is a fighter who has been to the very top of boxing and he needs to remember the qualities that took him there. He does so many things well and if he concentrates on his own strengths rather than Lomachenko's then he'll give himself a much better chance. I'm hoping he can go over there and do it as it'd be a brilliant win for him."